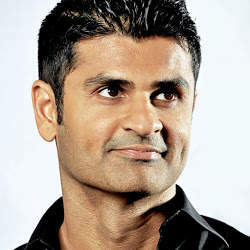 LOS ANGELES, CA--(Marketwire - Nov 5, 2012) - Paran Johar, former Chief Marketing Officer at Jumptap, the leader in targeted mobile advertising, recently announced his resignation from the company to assume the full time CEO role at Mobile Media Summit, http://www.mobilemediasummit.com, which owns and produces the successful Mobile Media Summit and Mobile Media Upfront conferences and consults in the mobile marketing space. Johar formed Mobile Media Summit and began producing Mobile Media and Advertising conferences in 2008 with the objective of bringing advertisers and mobile media technology companies together. That same year, Johar also was named Chief Marketing Officer at Jumptap, which was and continues to be a sponsor of the conferences. "Since joining Jumptap nearly five years ago, I've been lucky enough to help it grow into one of the leading mobile brands worldwide and am grateful to the company, which has been both a great employer and also a partner, acting as a key sponsor of the Mobile Media Summits and Mobile Media Upfront events," Johar said. "In the last two years, the Mobile Media Summits have grown rapidly to four conferences annually attended by over 3,000 executives from Fortune 500 brands, agencies and media companies. Clearly, the business has reached a pivotal point and requires my full time attention as we continue to drive the Mobile industry forward." "As a result of my full time focus, in 2013, we will now be able to produce five events, including New York, during the Upfronts and Advertising Week. These two Summits will be complemented by our other Summits in Los Angeles, Chicago, and San Francisco as well as executive roundtable dinners during the CES in Las Vegas, the Mobile World Congress in Barcelona and the International Festival of Creativity in Cannes." Jumptap Chief Operating Officer Frank Weishaupt said, "These conferences have proven valuable to our reputation and sales efforts and will be a mainstay of our event marketing to advertisers and agencies in 2013. We look forward to working with Paran on the Mobile Media Summits next year." The Mobile Media Summits and Mobile Media Upfront are the quintessential thought leadership forums for brand, agency and mobile leaders to learn and network on the newest mobile technology and media. Founded in 2008 by Paran Johar, the Mobile Media Summit and Mobile Media Upfront are the largest event series in mobile advertising, where an average of 70% of the audience are advertisers, more than any other event. Since our founding, the event series has hosted over 750 speakers and well over 5,000 attendees. Click on http://www.mobilemediasummit.com for more information.